On invitation from former Nepalese Ambassador to Scandinavia, Prof. Vijay Lal Karna (photo) – with whom SASNET has had an excellent rapport, I decided to make a detour from Kolkata along with wife and younger son for five days during the period 12–17 November 2012. Since Lal Karna is now back at his position as Professor in Political Science at Tribhuvan University (TU), my plan was of course to visit the university and interact with primarily the persons involved in collaboration with Lund University through its Erasmus Mundus Action 2 mobility programme EMEA, but also other scholars involved in collaboration projects with Swedish universities. Besides, I had got a separate invitation to visit Tribhuvan University from Prof. Anjoo Sharan Upadhyaya (photo to the left), currently visiting Indian ICCR Professor at Tribhuvan University for a period of two years, but otherwise Professor of Political Science, Dean for the Faculty of Social Sciences, plus Coordinator for the Centre for the Study of Nepal at Banaras Hindu University (BHU) in Varanasi, India. Prof. Upadhyaya visited Sweden in September 2009, and participated in a SASNET seminar on ”Political Transitions affecting the Peace Process in Nepal”, a seminar that also featured Ambassador Lal Karna. More information. The plans for academic meetings in Kathmandu were unfortunately affected by the fact that most of the week was a major holiday, the Tihar Festival which is the Nepalese equivalent of Indian Diwali, the festival of light. Something I did not take into count when planning for the visit. Only one day, Thursday 16th November, was an ordinary working day, which meant that this was the one day official meetings could be organised at TU. However, I had private meetings with my academic contacts also during the festival period. Professor Tek Nath Dhakal, is Head of the Central Department of Public Administration (CDPA), Tribhuvan University, at its centrally located Public Administration Campus in Jamal, Kathmandu. 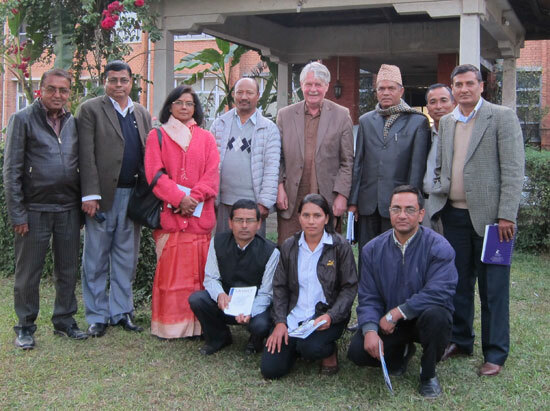 Prof. Dhakal organised an extensive visit to Tribhuvan University for the SASNET team consisting of Staffan Lindberg and Lars Eklund during their South Asia contact journey in 2005, see their reports from Tribhuvan, http://www.sasnet.lu.se/sasnet/sasnet-visit-tribhuvan-university-30-november-2005, and http://www.sasnet.lu.se/sasnet/sasnet-visit-tribhuvan-university-2-december-2005. 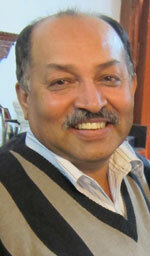 Prof. Dhakal has also been a member of SASNET’s advisory South Asian Reference Group (more information), and in this capacity participated in meetings in Delhi in 2007 and Colombo 2009. 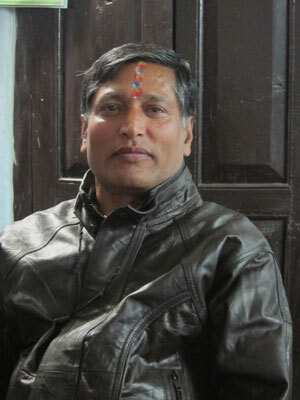 Therefore it was natural for me to meet him while in Kathmandu, and he was kind enough to open up his office on one of the festival days, and we had a good conversation updating information about SASNET and his department. It was established in 1986, and since then CDPA has been imparting education, training and conducting research in the area of public affairs management, running a masters programme in Public Administration. The campus has close ties with government and incorporates curricular changes and new programmes necessary to respond to their needs. Prof. Dhakal defended his doctoral dissertation on ”The Role of Non-Governmental Organisations in the improvement of Livelihood in Nepal” in 2002 at the University of Tampere in Finland in 2002, and his department keeps collaborating with Tampere. A strong collaboration also exists with University of Bergen in Norway, an MoU was signed with its Dept. of Administration and Organization Theory in 2005. 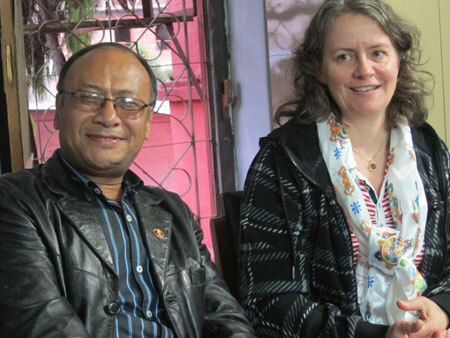 Sunil Kumar Joshi and Katarina Swahnberg. The same day, I had made an appointment to meet Professor Sunil Kumar Joshi from the Kathmandu Medical College (KMC), affiliated to Kathmandu University, involved in collaboration with Linköping University. It turned out to be a good practical solution to invite him as well to the Public Administration Campus on this festival day. When Prof. Joshi arrived a big surprise appeared, namely his Swedish counterpart in research and educational collaboration, Associate Professor Katarina Swahnberg from the Division of Gender and Medicine, Department of Clinical and Experimental Medicine. Katarina that I last met in Linköping in March 2012 (see the report) had arrived the same morning from Sweden and was quite eager to meet me now on spot in Kathmandu. Since 2006, her department at Linköping University and KMC have been involved in a Linnaeus Palme exchange programme covering an exchange of teachers and students. This programme has been running for eight years and is therefore to be concluded, but instead the nursing programme at Linköping University has initiated a new Linnaeus Palme programme with KMC. Katarina Swahnberg and Sunil Kumar Joshi are however also involved in research collaboration. 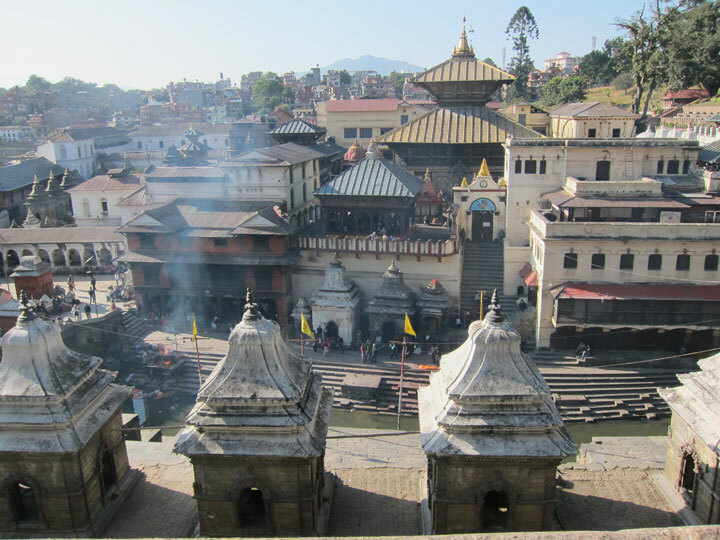 A project on trafficking entitled ”Hidden Issue: Women and Girls Trafficking in Nepal” received a planning grant from the Swedish Research Links (Asian–Swedish research partnership programme) in 2009, and will hopefully get more funding to take ahead. 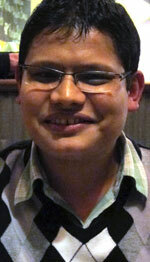 The background is the situation where Nepal has evolved as a ”sending country”, a central part in global trafficking. Surveys reveal that 70 out of 75 districts within Nepal are vulnerable to trafficking. The main aim of the research project is to contribute to the prevention of trafficking of women and girls and promote rehabilitative measures in order to attain a better society and healthier life of the victims. The empirical study will be conducted in Nepal. One evening I met Dr. Manish Thapa, researcher in the field of peace and conflict studies with strong Swedish connections. 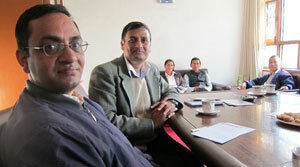 Dr. Thapa carried out part of his dissertation work at the Dept. of Peace and Conflict Research, Uppsala University, under supervision by Professor Thomas Ohlson. He then defended his thesis successfully at the Department of International Studies, University of Tokyo, Japan. After completion of the thesis, Dr. Thapa is now connected to the Dept. of Conflict, Peace & Development Studies at Tribhuvan University, but at the same time he is carrying out Post-doc research at the Institute of International Relations, University of Warsaw, Poland. He is working on a research project entitled ”Non-Traditional Security Challenges and Prospects for Regionalism in South Asia”. Dr. Bhandari keeps track of the different collaboration programmes and MoUs that TU has with foreign universities, including the Erasmus Mundus Action 2 Asia Regional mobility programme EMEA coordinated by Lund University (with TU being a partner university). More information about EMEA and other South Asia related Erasmus Mundus Action 2 programmes. On an initiative by Prof. Vijay Lal Karna, who graciously hosted me and my family during our visit to Kathmandu (staying at Momotarou Guest House in Lalitpur), I was also introduced to the Rector at TU, Professor Gunanidhi Nyaupane, the second person in rank at the university, next to the Vice Chancellor – who unfortunately was out of station. Prof. Myaupane (photo) heads the academic affairs at TU, and he could give an informed overview of the university structure, complementing the information that Dr. Bhandari could provide. Nepal currently has three government funded universities, Tribhuvan University (TU) with 60 affiliated campuses located in Kathmandu and all over the country; Nepal Sanskrit University in Dang District; and Purbanchal University in Biratnagar. Besides there are two private universities, Kathmandu University in Dhulikhel, Kavrepalanchok District, 35 km outside the capital city; and Pokhara University. Including all its affiliated campuses, TU has 39 central departments, and hosts approximately 200,000 students. TU has formal bilateral collaboration agreements, MoUs, with 117 foreign universities in 27 countries, but so far not with any Swedish universities (in spite of the Erasmus Mundus collaboration with Lund University). Nordic universities with such agreements include Aarhus University in Denmark, Oslo University College, University of Bergen, Norwegian University of Science and Technology (NTNU) in Trondheim, and the Agricultural University of Norway (NORAGRIC). The EMEA programme concerns mobility from Nepal to Europe only, and last academic year (2011/12) six Nepalese students/researchers/academic staff were given scholarships for European universities, but none to Lund/Sweden. Tribhuvan University International Bulletin, July 2012, however gives an interesting information that one Swedish researcher, Preston Thiessen, spends a full year at TU’s Faculty of Management from June 2012 till June 2013, to work on a project entitled ”Economic Viability of Nepali Ready-Made Garment Exports in the Post Quota Market”. The final meeting in Kathmandu was organised on 16th November by Dr. Mrigendra Bahadur Karki, Lecturer in Sociology at the Centre for Nepal and Asian Studies (CNAS), Tribhuvan University. Dr. Karki coordinates CNAS’ Programme on Policy Discourse on Social Exclusion and Inclusion, and an old friend of SASNET and our networking activities. This last thing has inspired him and his colleagues to develop some similar academic national Internet based network in Nepal. Therefore he had suggested the title of the meeting to be ”Developing Web based Interlinking between various Centres of Higher Learning in Nepal. SASNET Experiences”. It was to become a very fruitful meeting. After being introduced first by CNAS Executive Director, Dr. Nani Ram Khatry, and then by Prof. Anjoo Sharan Upadhyaya, I had a chance to recapitulate the history of SASNET and our development of a Swedish network, and then answer questions by interested faculty members, including Dr. Pancha N Maharajan, Associate Professor in Political Science; Dr. Dubi Nanda Dhakal; and Dr. Chandra Bahadur Adhikari. Dr. Karki said that a representative of Nepal’s Higher Education Commission (HEC) was supposed to come to our meeting, but unfortunately could not come. 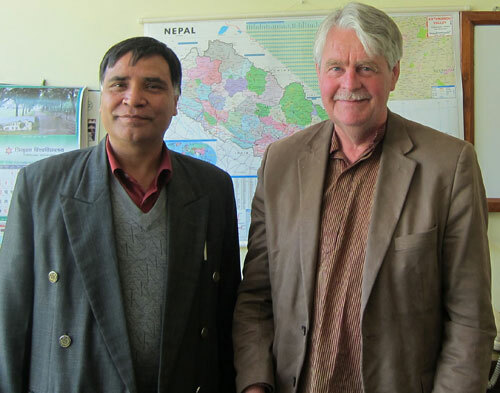 This fact, and the great interest to learn from SASNET experiences made Dr. Karki give me another invitation, to return to Nepal once again to assist the team behind their initiative in creating a pan-Nepalese web based academic network along the concept of SASNET. I readily agreed to this proposal, even though it is unclear if the cost for travelling could be covered by CNAS or not.